In the late 1960s, Stephen Kaltenbach was at the center of New York’s avant-garde, and during the 1970s, he achieved acclaim for the arcane ads he ran in Artforum. These were, according to the artist, “a passing on of possibilities,” in statements such as “Perpetuate a Hoax” or “Start a Rumor.” Many of these were then cast as bronze plaques, including "Art Works." The cast plaques were well received by Kaltenbach’s circle at the University of California, Davis, and at California State University, Sacramento. As a Davis student, Kaltenbach was mentored by faculty Robert Arneson and William Wiley, but he also overlapped with the conceptualist Bruce Nauman’s study there. 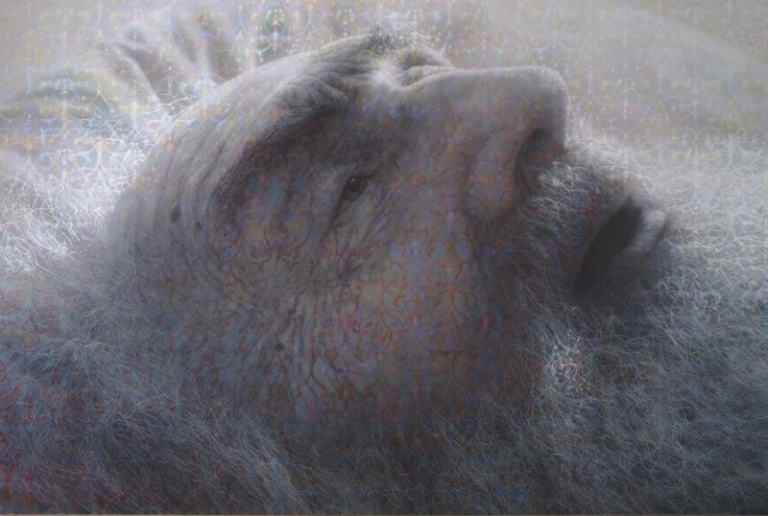 For all of his success as a conceptual artist, Kaltenbach is also known for paintings such as "Portrait of My Father." In a California barn, the artist labored for seven years over this testament to life, love, and the loss confronting us all. That his pursuit was spiritual is evident in the manner by which light and color permeates each intertwining arabesque and intersection with whisker, brow, and pore. The subject is returning to the light from which he came in a vision of infinity and the rightness of nature. While a photograph provided its basis, this portrait is far removed from the cool detachment of the Photorealists due to Kaltenbach’s prolonged engagement. Kaltenbach’s sole aim was to celebrate the human bond and make a memorial to his father that only he could create. (1) Cindy Nemser, “An Interview with Stephen Kaltenbach,” Artforum, 9, no. 3 (November 1970): 47-53.